The U.S. Centers for Disease Control and Prevention and the U.S. Food and Drug Administration have issued health advisories regarding papayas, warning that they may contain Salmonella. Papayas (also known as papaws or pawpaws) are a popular fruit that grow in tropical climates. Once considered exotic, they are now exported around the world and can be found throughout the year. Salmonella is a bacterium that causes the disease salmonellosis, which can be life-threatening. Usually resulting from unsafe food, it is one of the four key global causes of diarrheal diseases. Other symptoms include fever, abdominal pain, nausea and vomiting. Salmonella can survive for several weeks in a dry environment, and for several months in water. The CDC warns of a multistate outbreak of infections from two strains of Salmonella. A total of 109 people from 16 states have been infected; 35 have been hospitalized and one has died. 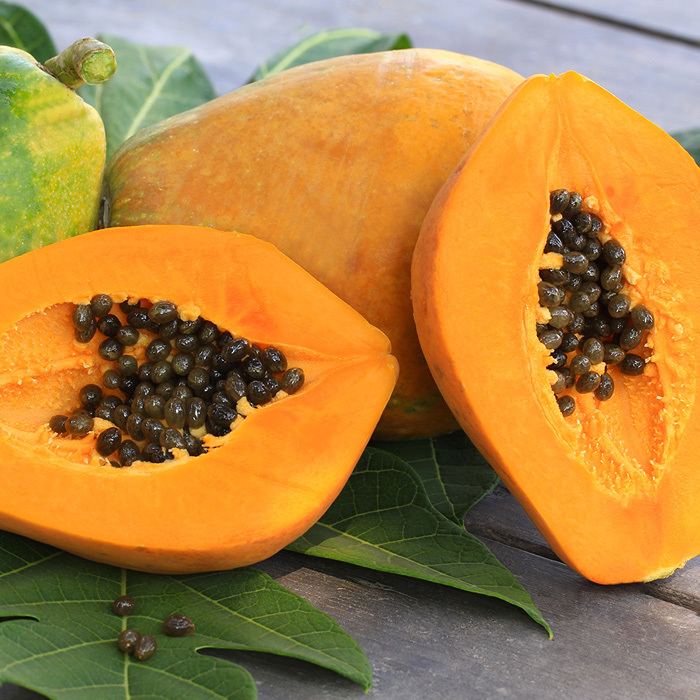 The outbreak has been traced to Maradol papayas imported from Mexico. The 100K Pathogen Genome Project is creating a genetic database of microbes that cause the most common foodborne diseases. The consortium has sequenced 1,183 different strains of Salmonella. Researchers include UC Davis Professor Bart Weimer, an Agilent Thought Leader. Equipment includes an Agilent Bravo NGS workstation, Bioanalyzer system, high-sensitivity DNA kit, TapeStation system, genomic DNA ScreenTape system and DNA extraction kit. Rapid molecular typing methods are important tools when investigating outbreaks of human Salmonella infections. U.S. and Canadian researchers have developed a rapid molecular method for differentiating different strains of Salmonella, using an Agilent Bioanalyzer System. Every year, 1 in 10 people fall ill and 33 million healthy life years are lost to foodborne diseases (World Health Organization). Agilent ensures consistent quality and uncompromising testing throughout the food production chain, including inspection, new product development, quality control and assurance, and packaging.